Last weekend was another cross country race and that gave me another excuse to try out a recipe I haven’t done before and experiment with the decorating. I chose stem ginger cupcake as I wanted a flavour that would be warming in this cold weather, also I hadn’t made them before so it was good to tick off another recipe from the long list! 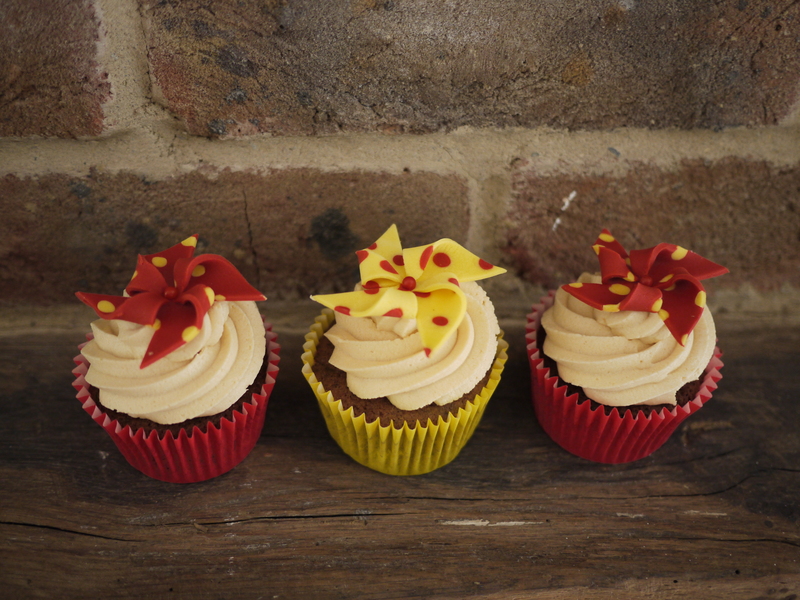 I struggled a bit to think of something to theme the cupcakes with as this time of year seems to be quite uneventful, unlike Christmas. 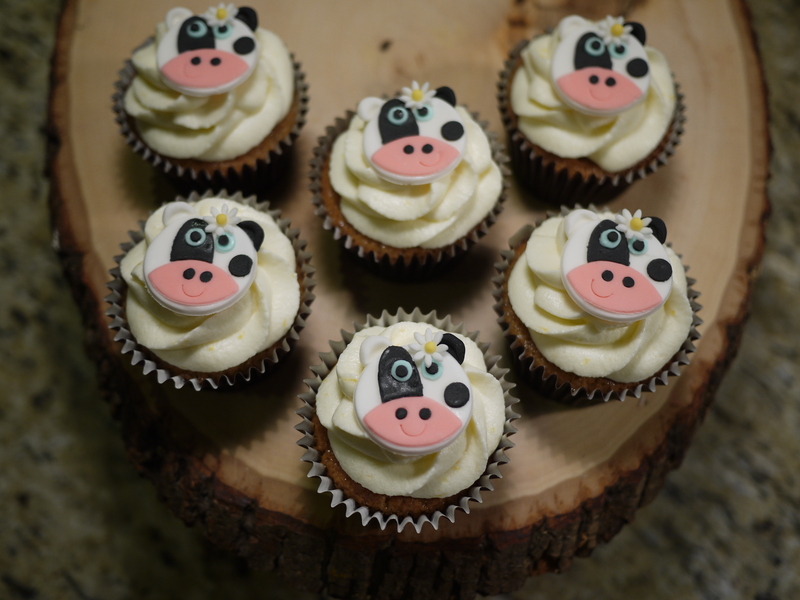 So I chose to make some cows and daisies that could incorporate a subtle red and yellow theme – by using red and yellow centers for the daisies – Serpentine running club colours. Click here for the recipe and decorating instructions. Most people know this as milllionaires shortbread. However, I’ve always called it caramel slice. It reminds me of when we were younger – when we went shopping with mum in Cambridge, sometimes she would treat us to a slice of cake at a cafe called Carringtons. I would always go for their caramel slice – for me it was the perfect combination of crunchy biscuit, smooth caramel and rich chocolate. When I found out that Sunday Baking Club were having a caramel theme last weekend this is the first thing that came to mind. Having made it, I decided to have a look on Cafe Carrington’s website to see if they still do caramel slice but discovered that it went into liquidation just over a week ago. So this caramel slice is in memory of Cafe Carrington’s and all the yummy caramel slices I had over the years. Click here to get the recipe! 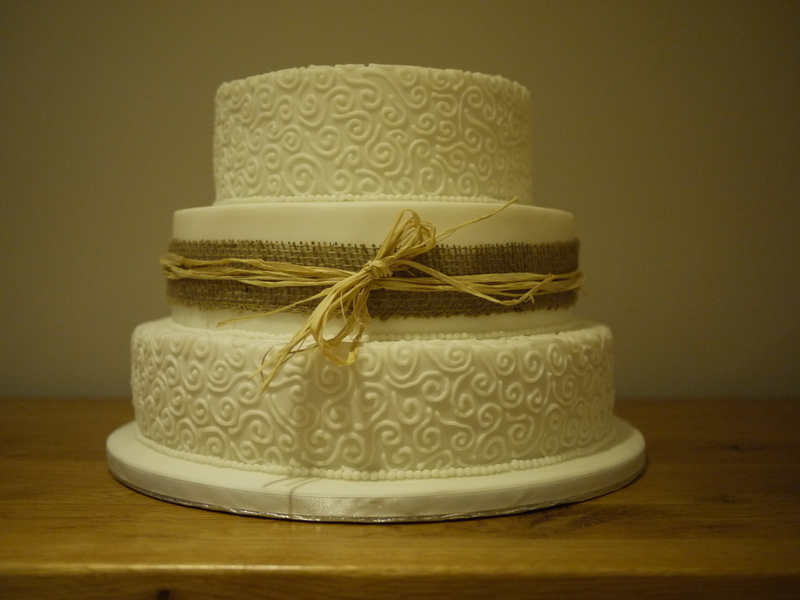 I love a bit of piping, so when I managed to convince my manager at work that I should make his wedding cake, I was really pleased to find out that the design they wanted was very rustic and two tiers would be completely covered in piped swirls. 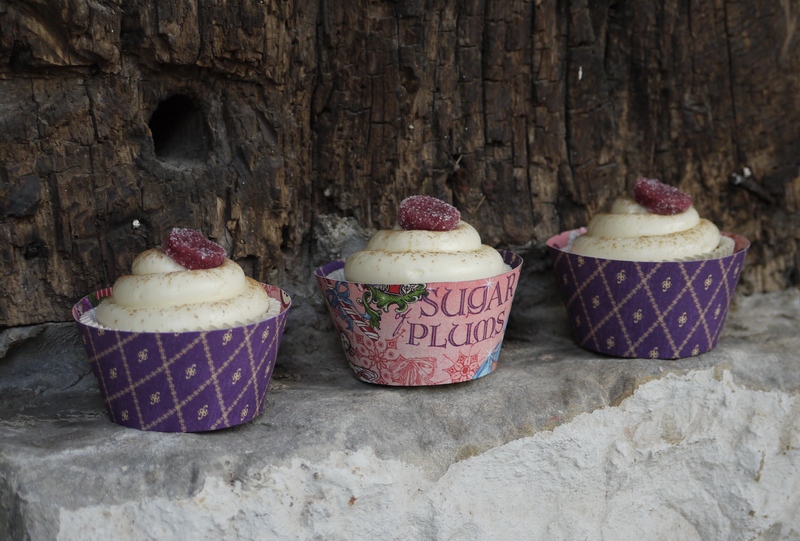 Click here to keep reading about this rustic cake. I spent most of the weekend in the kitchen. This would be some people’s worst nightmare, but for me it’s a pretty perfect weekend. It was also snowing/sleeting for most of the weekend so being inside was definitely the best place to be. Sunday’s challenge was to make something caramel related for the Sunday Baking Club weekly theme – so I spent most of the day stirring caramel while it thickened, and then waiting for ages for it to cool down (look out for the recipe next week). 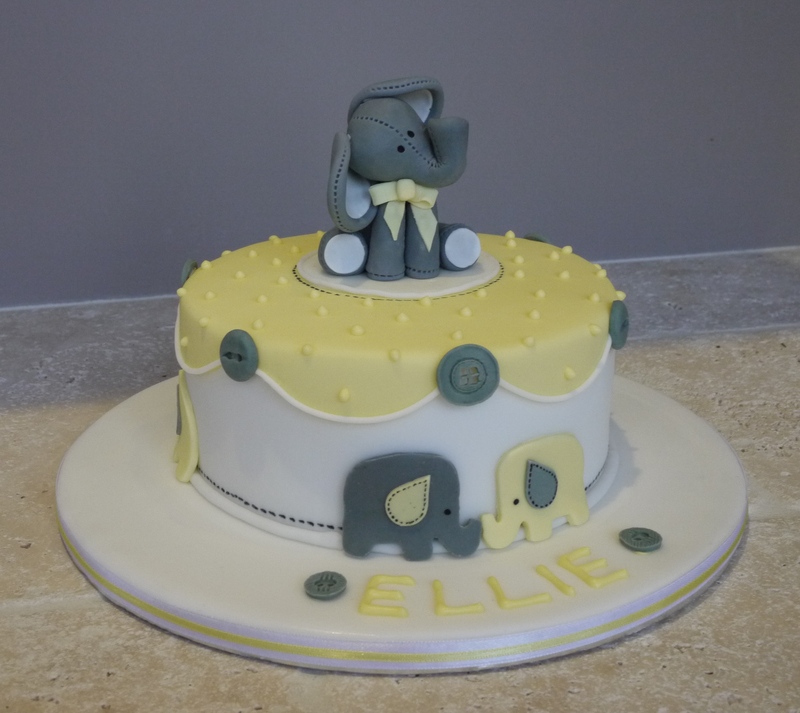 However, the task for Saturday was very different – making a first birthday cake. If you follow us on Facebook and/or Twitter you’ll probably have seen some baking over the last 12 months that hasn’t made it onto the blog. Sometimes we spend so much time baking that it’s hard to find the time to blog about our creations, especially since we also work. So here is a collection of things we made in 2014 that you might not have seen yet.